The difference between the two females is very small. 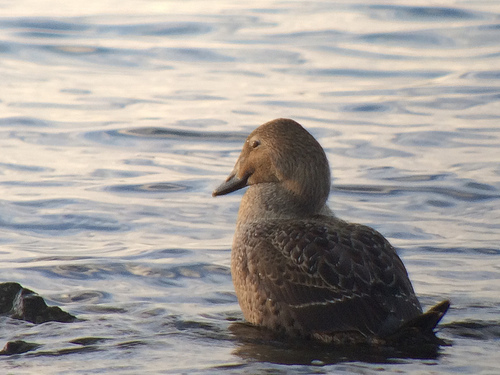 The King Eider has a darker and shorter bill. 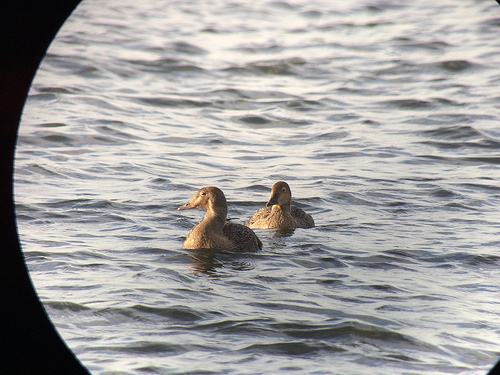 The Eider often has a light tip at the end of the bill.